Want to Start Spying on any Phone within the Next 5 minutes? Supervise your kids remotely but securely. Make sure your program recovery ที่ดีที่สุด are not wasting your time. Get quick information about the installation steps and how to use the program to monitor a smartphone or tablet. FREE 48 HOURSInteract with a working example of the online control panel to get a feel for how easy it is to monitor your smartphone. PURCHASE NOWPurchase online through our secure shopping cart to get the app and start monitoring your smartphone today. Do you ever wonder what your kids are doing on their smartphones all day long. By creating a record of an employee’s activity, you can monitor silent and undetectable. It provides you lots of features which make your work easy. Whether it is your spouse, sibling, children or your employee. 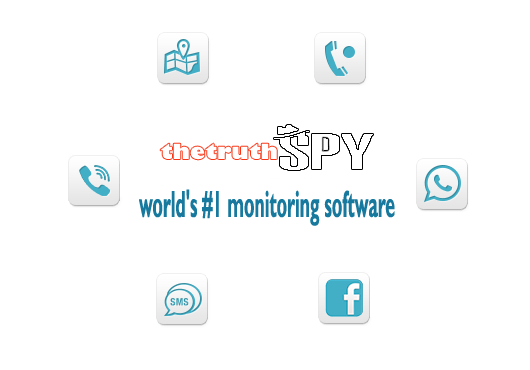 Phone tracker is the best as it helps you in tracking all the SMS that are received or made by the target person. Mobile Spy Ambient Listening Hear what’s happening around the device. Live Call Recording Record phone conversation as hidden sound file. Choose phone numbers to be recorded automatically. Read all messages including the stickers, status, profiles, pictures, locations and emoticons. Monitor Internet Activities View the history of websites visited from devices. Block what websites you do not want target users to visit. Record Apps usage View history of application usages on target device and you can block what application you want. Key Logger Captures all what target users typed on target devices so can know password of facebook for example. Remotely Control Remote access through online control panel and send SMS commands to target devices to do a specified action. Notifications If SIM card changed, it will silently notify you via SMS message to let you know new telephone number. 7 and Money back guarantee 05 days. Almost feedbacks will be replied within 4 hours. You make a call from your phone to target phone. It will be auto answer without knowing from users. You can spy on virtually any phone remotely and invisibly. Because it costs you less than your daily cup of coffee! As an employer you want to monitor all company owned phones and make sure they are not being misused Works in complete invisible mode, it will never appear on the monitored phone. Very easy to install and simple to use. 7 customer support team is there to help you at every step of the way. I want to believe they are mature, but their actions only bring doubt. Extracting Data: The application will extract data from the device on a regular basis. 0 2310 3731, 0 2310 3732 หรือ โทร. Enjoy the move ได้อีกครั้งด้วยเทคนิคผ่าตัดข้อเข่าเทียมแบบ เจ็บน้อย ฟื้นไว เดินได้ใน 24 ชม. Want to Start Spying on any Phone within the Next 5 minutes? Supervise your kids remotely but securely. Make sure your employees are not wasting your time. Get quick information about the installation steps and how to use the program to monitor a smartphone or tablet. FREE 48 HOURSInteract with a working example of the online control panel to get a feel for how easy it is to monitor your smartphone. PURCHASE NOWPurchase online through our secure shopping cart to get the app and start monitoring your smartphone today. Do you ever wonder what your kids are doing on their smartphones all day long. By creating a record of an employee’s activity, you can monitor silent and undetectable. It provides you lots of features which make your work easy. Whether it is your spouse, sibling, children or your employee. Phone tracker is the best as it helps you in tracking all the SMS that are received or made by the target person. Mobile Spy Ambient Listening Hear what’s happening around the device. Live Call Recording Record phone conversation as hidden sound file.